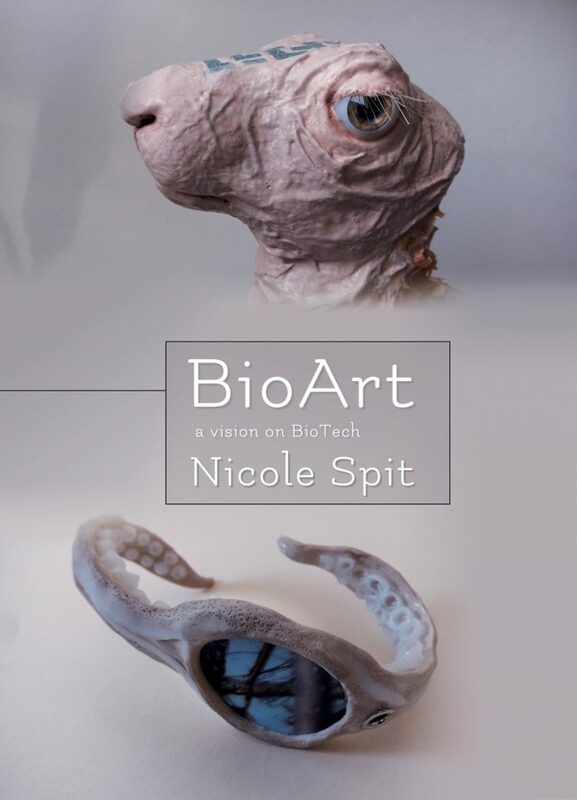 BioArt Projects, a vision on the future of BioTech. EN| ‘In a number of alienating objects, I will show what the influence of biotechnology could be in the future. Developments in (synthetic) biotechnology are moving at lightning speed. We can already manipulate DNA and cut and paste properties of choice into other DNA. (eg with CRISPR-Cas9 technology) We can introduce modified DNA material into genetically almost empty cells, which can serve as building blocks for living material according to our own design. We see large tech companies (such as Alphabet / Google, Amazon, Tesla) making huge investments in biotech. What if these companies will develop commercial products using biotechnology? NL| Volgens Nicole Spit is biotechnologie een van de belangrijkste technologische ontwikkelingen met een verstrekkende invloed voor de komende jaren. Neem een kijkje in de toekomst bij de BioArt projecten in het pop down menu.